Earlier this year, thanks to our friends at Microsoft, we had a chance to review the Arc Mouse and Arc Keyboard. While neither of those devices had any revolutionary features, the Arc lineup still offered a minimalistic design that many appreciated. On Wednesday, Microsoft’s hardware team announced the Arc Touch Mouse. As the title implies, the new gizmo sports some touch enabled features. While the new mouse isn’t entirely touch based, a capacitive scroll strip will enable easier navigation. Running a finger across the strip slowly allows for controlled scrolling, but it supports flicks work for speedy scrolling as well. While many consider this a direct take on Apple’s Magic Trackpad mouse, it’s actually quite different. Microsoft’s Arc Touch still sports the shape and style of the older Arc Mouse. It still has two physical buttons for left and right click buttons too. On the other hand, Apple’s solution is a stationary navigation device that relies entirely on touch for everything from movement to clicks to scrolling. While the Bluetooth-enabled Magic Trackpad offers some very intuitive multi-touch gestures, the Arc Touch is a more traditional take on a mouse with a hit of “touch.” The scroll strip even offers three virtual buttons for page up, page down and a customizable center button. There’s also haptic (viberating) feedback, which the Magic Trackpad lacks. 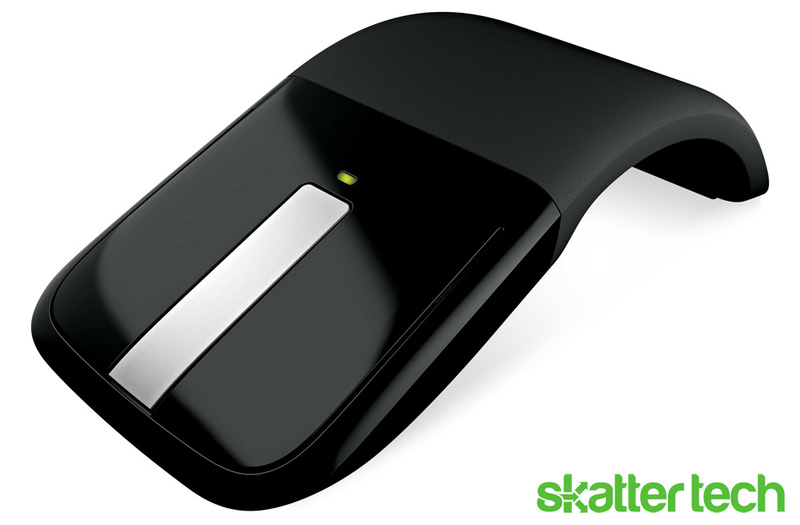 The Arc Touch mouse sports Microsoft’s BlueTrack Technology and connects to computers with a USB nano transceiver. Microsoft claims that two AAA batteries offer nearly 6 months of battery life. A two-color battery indicator will even warn users when running low on power. For those interested, the Arc Touch Mouse will retail for $69. Retailers such as BestBuy.com, Buy.com, and Amazon.com are already taking pre-orders. Unfortunately, this gizmo won’t ship until December. Microsoft claims that the mouse will be available in more online and retail stores starting in January 2011. We’ll be getting our hands on a review unit shortly, so stay tuned for a full review.